Intimate Aesthetics is research into body-focused interactions and experiences that take place in artistic and other specialised contexts. Theories of embodied cognition and somaesthetics that recognise the somatic within consciousness and cognition underpin the research and creative practice. 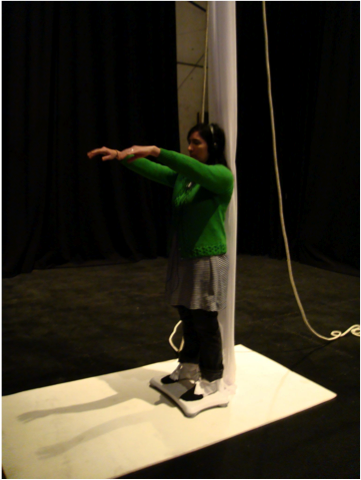 Luscious Apparatus: research into body-focused interaction and wearable, biofeedback technologies for interactive and live art contexts, informed by the Bodyweather performance methodology. Funded by The Australia Council for the Arts 2010. Thinking Through The Body: an investigation into aesthetic experience, interactive art and somatic bodywork.